Australian Kfarsghab Association | AKA Crusaders too good for Kings Langley in B14 Grand Final!! AKA Crusaders too good for Kings Langley in B14 Grand Final!! The AKA Crusaders B14 Seniors cricket team overcame an early setback and surged to victory over Kings Langley to claim the Premiership on Sunday. History was made as AKA, for the first time ever, won two Grand Finals on the one day. Team Captain and Elder Statesman, Joe “Chips” Abood won the toss and elected to bat. Unfortunately the Crusaders weren’t able to rise to the occasion and despite some grit shown by Pierre Merheb (20 not out) the Crusaders slumped to be all out for 88. The team gathered their composure and set out to fight to the end. And fight they did. A fine bowling performance by all five bowlers rolled the shell-shocked Kings Langley batsman for only 49! 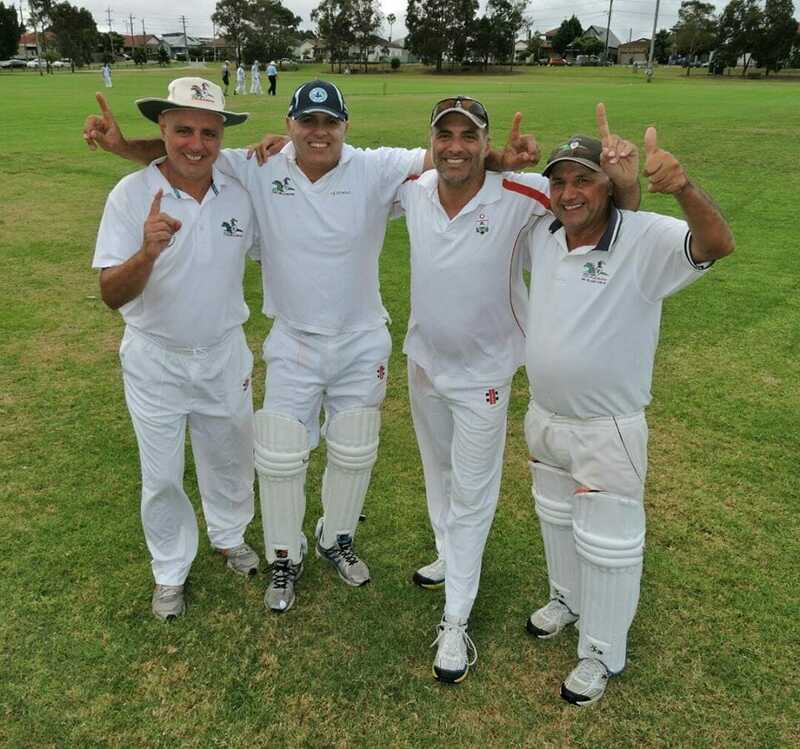 John Paul George and John “Psycho” Coorey each took 3 wickets, Coorey with a hat trick to dismiss the last 3 batsmen (for the uninitiated a Hat Trick is 3 wickets in consecutive balls, a rare feat indeed). The Crusaders now held an unlikely lead of 39 with both teams to bat in the second innings. The Crusaders set about their work with the application missing in the first innings and batted Kings Langley out of the match. While the effort was solid by all batsmen, Kieran Maroon top scored with a tough 68 under pressure, supported by Joe Merhi (39 not out). Kings Langley were unable to dismiss The Crusaders and conceded the match. 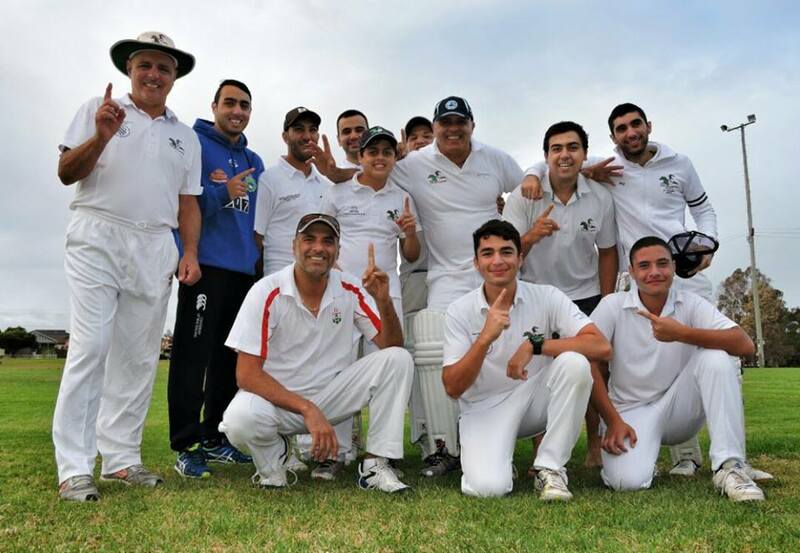 Joe Abood, Gary George and his two sons John-Paul and Joseph, Steve Samson, Jacob Boutros, Kieran Maroon, Joe Merhi, Pierre Merheb, John Coorey, Michael Barakat, Chis Yacoub and Anthony Coorey.